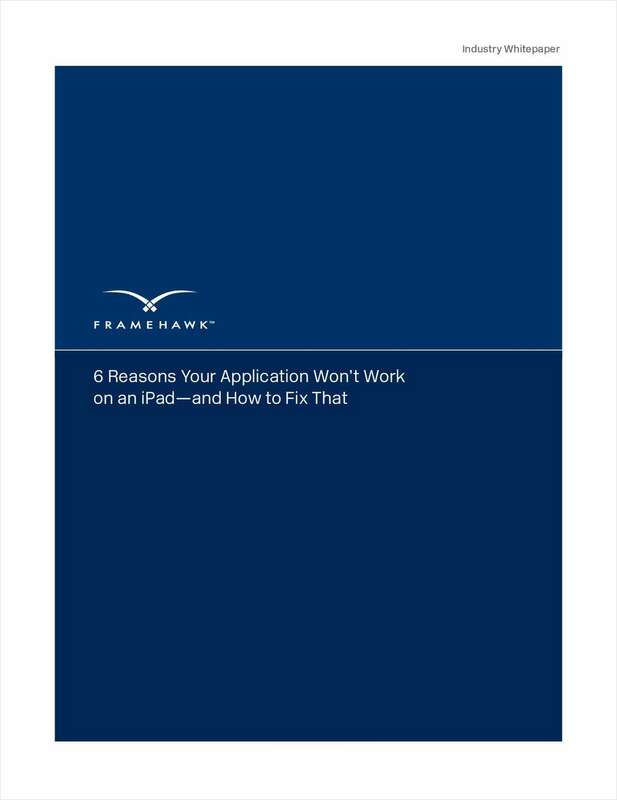 "6 Reasons Your Application Won't Work on an iPad – And How to Fix That"
Free White Paper: "6 Reasons Your Application Won't Work on an iPad – And How to Fix That"
Are you an application owner or a CIO struggling to enable your employees to access corporate applications from iPads? If so, this paper will provide you with the 6 key reasons that your enterprise applications won't run on iPads and practical solutions to solve this issue without having to rewrite your entire application portfolio. By submitting this content request, I have legitimate interest in the content and agree that Framehawk, their partners, and the creators of any other content I have selected may contact me regarding news, products, and services that may be of interest to me.